Mr. Lauder is an accomplished technology sales leader with a particular focus on the SaaS sector. 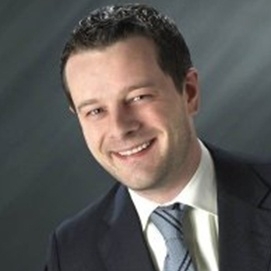 He has been involved in multiple migrations of sales and customer service teams across the EMEA region. Mr. Lauder has additionally expanded his portfolio of experience to digital marketing working for industry leader HubSpot and more recently as Chief Revenue Officer at his own digital marketing agency, 'Get Focused on Marketing'. He is a regular speaker, blogger and consultant to technology startups and organizations embracing the vital shift to a digitally driven lead and pipeline model. Mr. Lauder has also led teams for global players such as Dell, Quest Software and Hutchison Whampoa (3 Telecom). He has an undergraduate degree from Trinity College in Information & Communications Technology and a Masters of International Business from the University of Queensland in Australia.